For Fareed Zakaria, the great story of our times is not the decline of America but rather the rise of everyone else -- the growth of countries such as China, India, Brazil, Russia, South Africa, Kenya, and many, many more. This economic growth is generating a new global landscape where power is shifting and wealth and innovation are bubbling up in unexpected places. It's also producing political confidence and national pride. As these trends continue, the push of globalization will increasingly be joined by the pull of nationalism -- a tension that is likely to define the next decades. 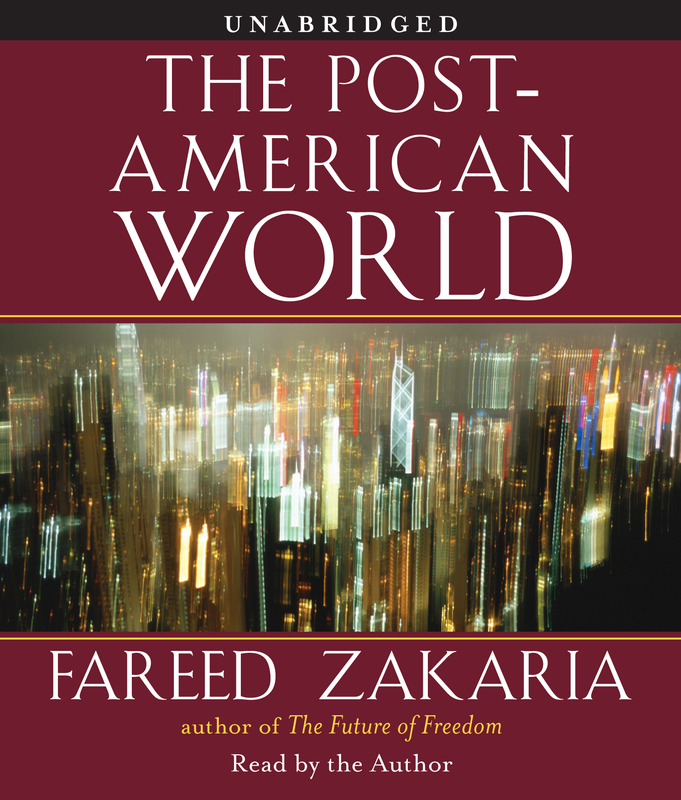 With his customary lucidity, insight, and imagination, Zakaria draws on lessons from the two great power shifts of the past five hundred years -- the rise of the Western world and the rise of the United States -- to tell us what we can expect from the third shift, the "rise of the rest." Washington must begin a serious transformation of global strategy and seek to share power, create coalitions, build legitimacy, and define the global agenda. None of this will be easy for the greatest power the world has ever known -- the only power that for so long has really mattered. But all that is changing now. The future we face is the post-American world.